Screened in four parts in August-September, this exceptional television fiction continues the depiction (previously reviewed in Freedom, December 2011) of drug-dealing and the lives directly affected by its associated activities. 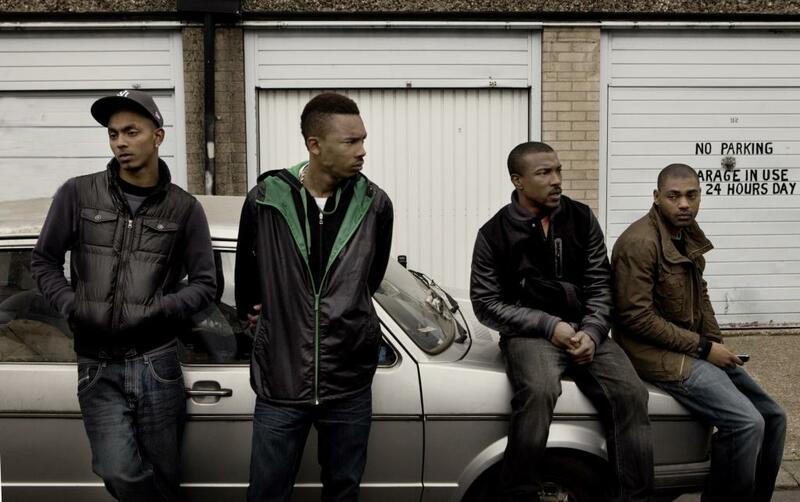 As before, the narrative is rooted in scrupulously-researched everyday minutiae - allowing the cast, headed by Ashley Walters, Kane Robinson and a host of Hackney amateurs, ample scope to improvise for improved authenticity. This 'bottom-up' perspective then accommodates crime thriller excesses which might otherwise overwhelm the realistic tapestry of ordinary characters dealing with extraordinary situations - resisting the sensationalist overkill of UK urban cinema over the last decade  while convincingly rendering the implacable constraints facing many innercity youth and the institutional, social and economic vectors within which their vicious circles appear as least-hopeless options. The minimalist discipline relaxes in the new episodes as the first series' youngsters and families, tentatively repulsing entanglement with the drugs posse, find themselves fatefully drawn back in. Meanwhile business networks extend beyond the estate, where variously pragmatic and psychopathic rivals, additional middle-childhood recruits, crack addicts and less desperate patrons, and sundry representatives of 'straight' society mesh in more complex ways than discourses of the alien underclass suggest. Outsiders partaking of profitable opportunism include financial and legal professionals and gentrifying property developers as well as the now-obligatory East European type of mafia who, along with the police, seriously threaten the titular gangleader. His reluctant ruthlessness, sacrificing his people in pursuit of raised stakes, inexorably undermines the 'godfather' paternalism which vouchsafes loyalty in a hostile world and justifies his boast to arresting officers that "there are no gangs - just family, friends and neighbours". Under such multi-dimensional pressure, allies shapeshift as partners, employees, customers, grasses or competitors, while local small enterprises are squeezed out by corporate predators with official approval and unofficial clout - further attenuating slim prospects of independent livelihoods in the borough. Clearly, 'criminality pure and simple' could only convince if the overarching culpability of 'respectable' society was equally castigated . In any case, this criminal top dog - now also dreaming of escape - is scarcely in charge at all, tenuously thriving only thanks to quick wits and the residual trust of footsoldiers but always susceptible to fresh twists around the next corner. Yet even amidst escalating war of all against all, with tolerable futures almost impossible to envisage, Top Boy places centre stage the perseverance to seek (however misguidedly) genuine connection, fellow-feeling, and even altruism - and all of the pivotal plot points revolve around the tragedy, poignancy and/or positive potential inherent in this unquenchable thirst. Moreover, the further you descend the poverty ladder, the more tenacious as well as dangerous such desires become - being both precondition and antithesis of selfish individualism's ascendancy. 1. see 'The Poverty of Imagination', Variant, 43 (2012). 2. a theme developed in the film Twenty8k (David Kew & Neil Thompson, 2012), based on allegedly real-life - but successfully hushed-up - pre-Olympics East End collusion among entrepreneurial, municipal and police gangsters. Review first published in Freedom, Vol. 74, No. 9, October 2013.